The ideal travel companion, full of insider advice on what to see and do, plus detailed itineraries and comprehensive maps for exploring this tranquil and picturesque region. Visit the magnificent Château de Chambord, take a wine and cheese tour around Sancerre, enjoy the lively atmosphere of medieval Tours or be amazed at the giant mechanical creatures at Les Machines de l'Ile in Nantes: everything you need to know is clearly laid out within colour-coded chapters. 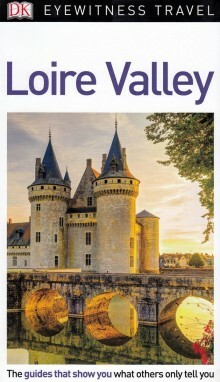 Discover the best of the Loire Valley with this indispensable travel guide. Essential travel tips: our expert choices of where to stay, eat, shop and sightsee, plus how to get around, useful phrases, and visa and health information.